FRANK SINATRA JR. This sensational kidnapping had all the hallmarks of a classic noir thriller: the only son of a Hollywood star snatched at gunpoint from a nightclub dressing room. To arrange his son’s quarter-million-dollar ransom, the kidnappers forced Sinatra Sr. to race around Los Angeles calling from pay phones, and at one point, the singer had to borrow dimes from a stranger. The ransom was paid and his teenage son released unharmed. The gang was later arrested and most of the cash recovered. The fact that the kidnapping took place just after JFK’s assassination explains why it never got the kind of press coverage one would have expected. JOHNNY ROSELLI. Nicknamed “Johnny Handsome,” this notorious mobster ran Hollywood in the 1950s before shifting his attention to Las Vegas. Recruited by the CIA in 1960 into a plot to assassinate Fidel Castro, Roselli later claimed that the Mafia and CIA then reversed the plan to target JFK instead, resulting in President Kennedy’s assassination in Dallas. In 1975, Roselli was subpoenaed by the House Select Committee on Assassinations; however, he was kidnapped outside his home just before he could give testimony. His remains were later identified floating off Miami. His kidnappers were never found. CHARLES LINDBERGH JR. 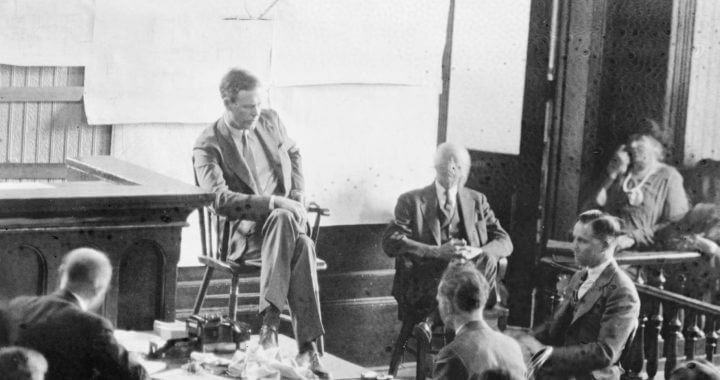 The world was shocked when, in March 1932, the only son of America’s most famous aviator, Charles Lindbergh—who made the first nonstop flight across the Atlantic—was kidnapped from his own bedroom. Little Lindy, as he was dubbed by the press, was only twenty months old. Initial police investigations were chaotic and despite the payment of $50,000, Little Lindy was not returned. His body was later discovered in nearby woods, his death probably the result of the child being accidentally dropped shortly after the abduction. A German immigrant was later convicted and executed despite doubts over his guilt. In response to the tragedy, Congress made kidnapping a federal crime. MEHDI BEN BARKA. In October 1965, the charismatic Moroccan opposition leader and spokesman for the nonaligned movement was bundled into a car outside a fashionable Paris bistro and never seen again. Ben Barka had traveled to Paris to denounce King Hassan II in front of leading French journalists. The infamous Moroccan interior minister General Mohammad Oufkir was suspected of personally torturing and killing Ben Barka in a Paris suburb, then dissolving his body in acid. CIA, ex-Nazis, and rogue elements of French Intelligence were all suspected of involvement in the kidnapping. JIMMY HOFFA. Jimmy Hoffa became president of the notorious Teamsters Union in 1960 after his predecessor was sent to jail, thanks to a zealous young US attorney named Bobby Kennedy. When President Kennedy named his brother as attorney general, Bobby declared war on Hoffa. Mafia sources claimed that Hoffa helped orchestrate the assassination of JFK in order to stop Bobby’s investigations, but he was eventually convicted on corruption charges. To general astonishment, Hoffa was pardoned by President Nixon in 1971. Shortly after being subpoenaed to appear before the House Select Committee on Assassinations in 1975, Hoffa was kidnapped in broad daylight in Detroit. His body was never found. ALDO MORO. In March 1978, commandos of the Italian left-wing terrorist outfit the Red Brigades kidnapped former Italian prime minister and candidate for president Aldo Moro on the morning he was supposed to propose sweeping policy reforms. The terrorists hoped to swap sixteen of their imprisoned members for the powerful politician, but a strange thing happened. His own party, the Christian Democrats, decided they didn’t want Moro back, fearing his reforms might expose the party’s links to the Mafia, fascist terrorists, and a scam to siphon billions from the Vatican Bank. Moro was executed, and his family never forgave his own government’s inaction. J. PAUL GETTY III. What’s it like being the grandson of the richest man in America? Not much fun if the grandfather also happens to be the world’s most famous miser. J. Paul Getty III was just sixteen when he was kidnapped in Rome. The criminals initially requested a $17 million ransom, but the skinflint grandfather slowly negotiated them down to $3 million, although the delay cost his grandson his right ear. Getty refused to pay more than was tax deductible —$2.2 million—but did loan the rest to his son at 4 percent interest. After a five-month ordeal, the ransom was paid and the boy was finally released. PATTY HEARST. The nineteen-year-old granddaughter of press baron William Randolph Hearst (who was the model for Citizen Kane) was kidnapped from her home in 1973 by the Symbionese Liberation Army. The ransom demand: food distribution to the poor. Although her father gave away $2 million worth of food, instead of being released, Patty announced she was joining the SLA and participated in several robberies, even firing weapons. She was arrested in September 1975 and her case became one of the best-known examples of Stockholm Syndrome: sympathizing with your kidnappers. Hearst served twenty-two months in jail. 2 ADOLF EICHMANN One of the chief architects of the Final Solution, this repulsive apologist for mass murder escaped from a US internment camp after the war and slipped out of Austria with the help of a Nazi-loving Catholic bishop. He was smuggled into Argentina where he later worked for Mercedes-Benz. Mossad agents abducted him in 1960 and spirited him away to Israel to face trial, where he employed the notorious “just following orders” defense. Showing zero remorse, he was hanged in 1962. FEVER CITY (Europa Editions) by Tim Baker is out now. The frantic search for the kidnapped son of America’s richest man collides with a plot to kill President Kennedy in the newly released thriller FEVER CITY, which has just been longlisted for the Crime Writers’ Association’s John Creasey New Blood Dagger award. Its author, Tim Baker, looks at some notable real-life kidnapping sagas.